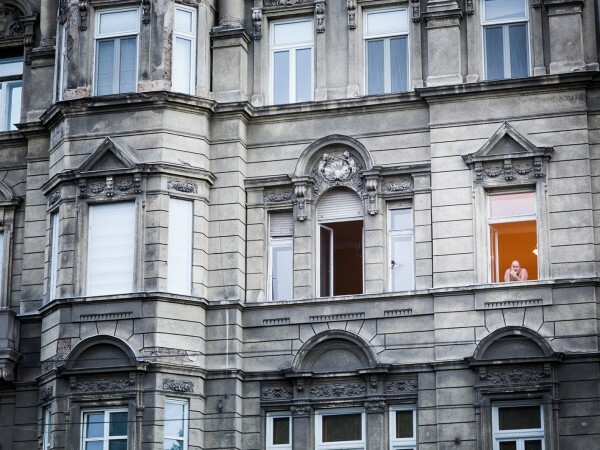 Daydreaming is a short-term detachment from one’s immediate surroundings, during which a person’s contact with reality is blurred. 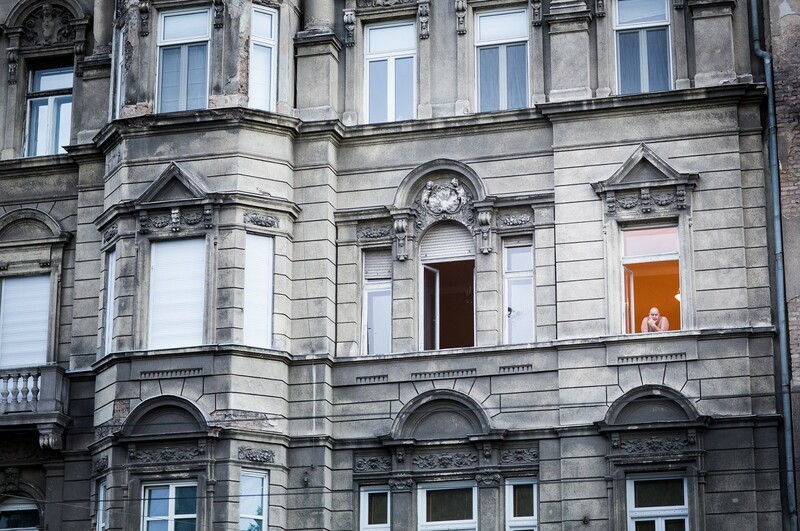 This global project captures daydreamers from their balconies around the world during their private moments. 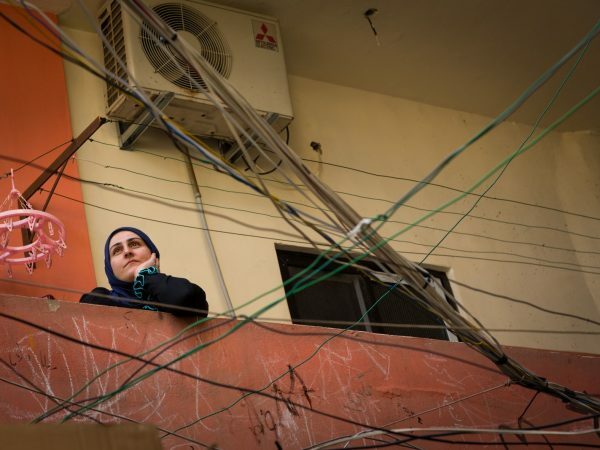 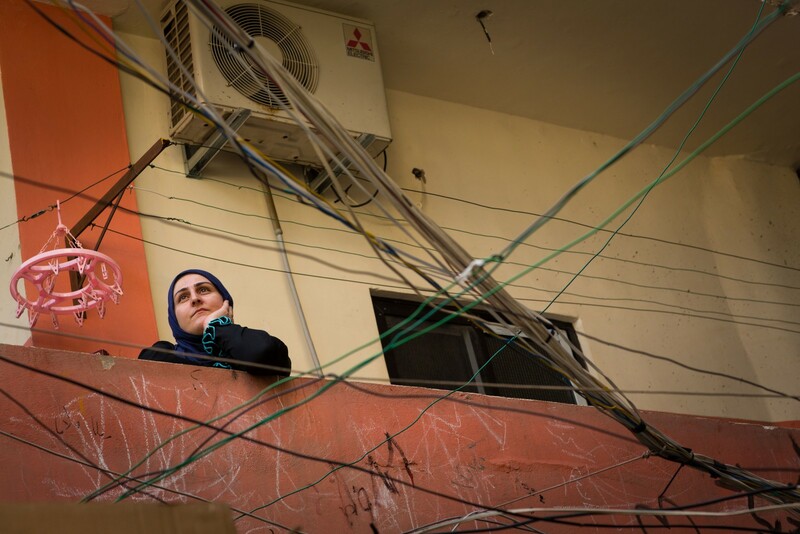 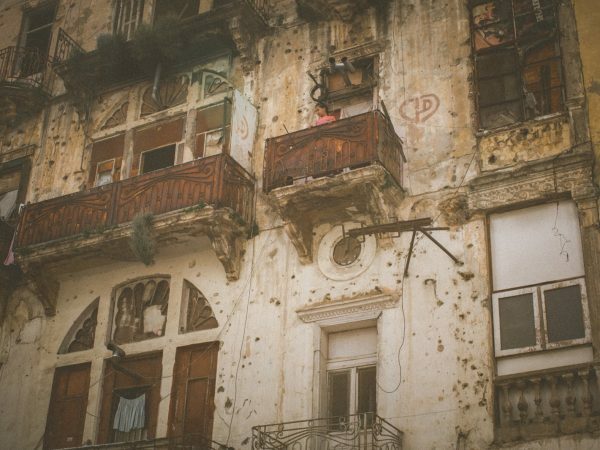 Beirut, Lebanon - 8/010/2016: A Syrian refugee in Bourj El Barajneh camp in Beirut on her balcony. 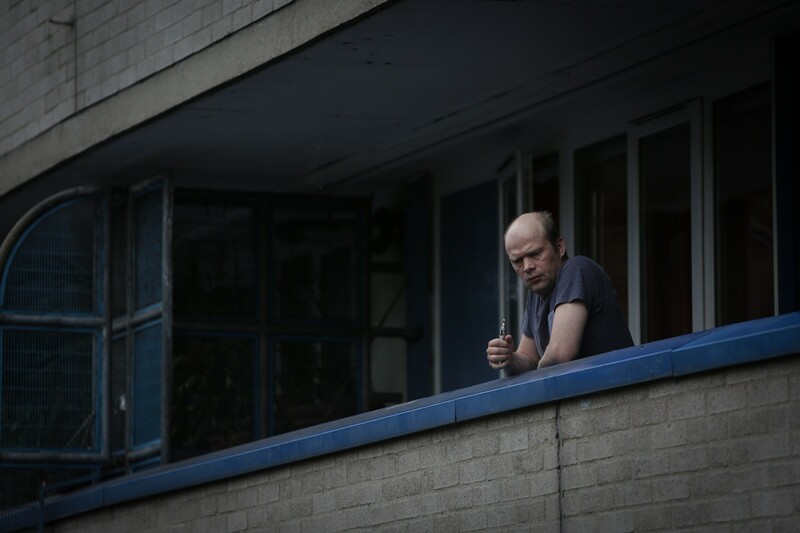 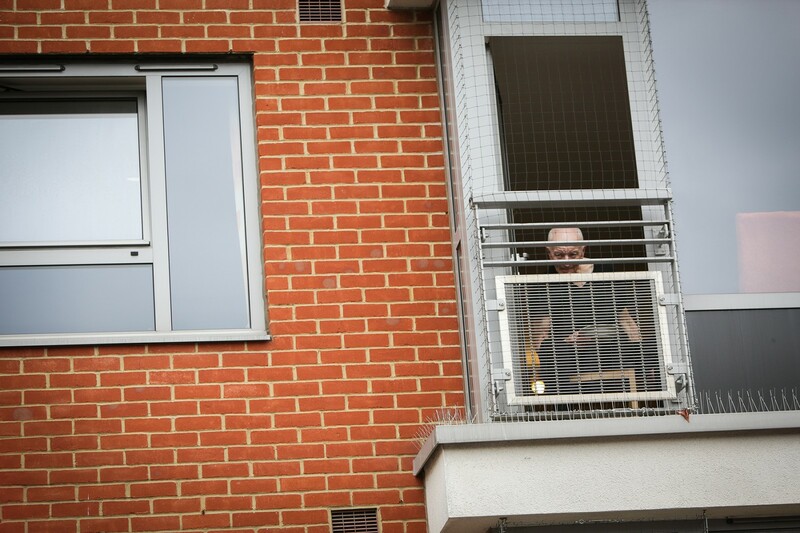 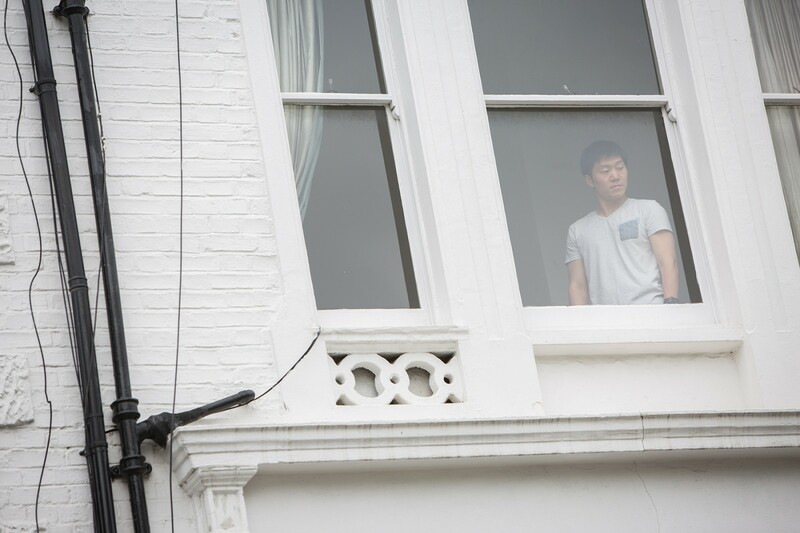 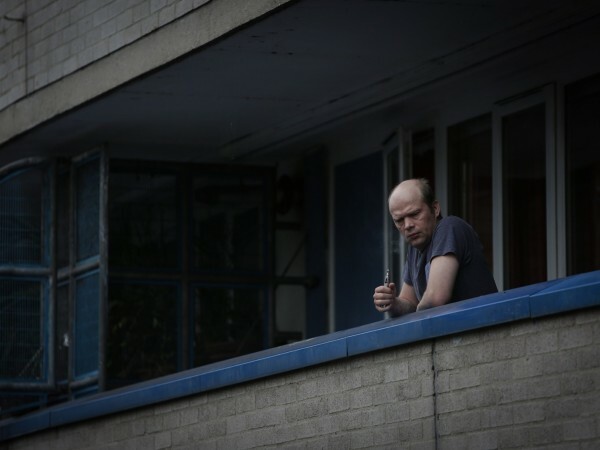 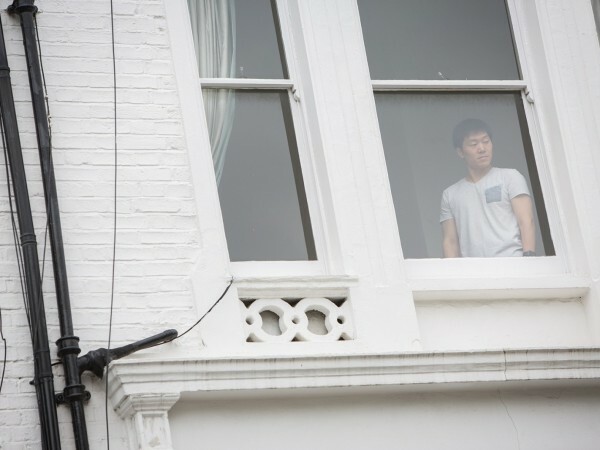 London, UK - 10/08/2015: A man looks out of his window in West London. 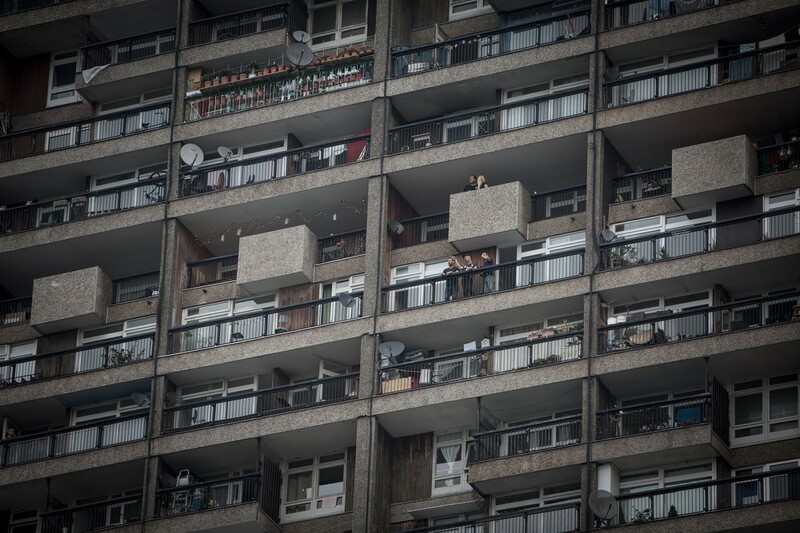 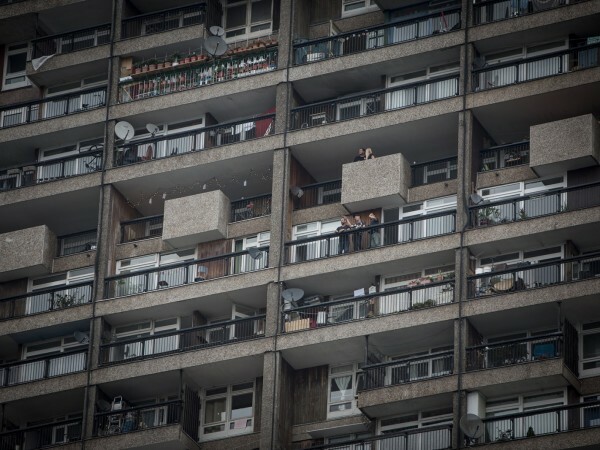 London, UK - 10/08/2015: A group of people on their balcony in a high rise estate in West London. 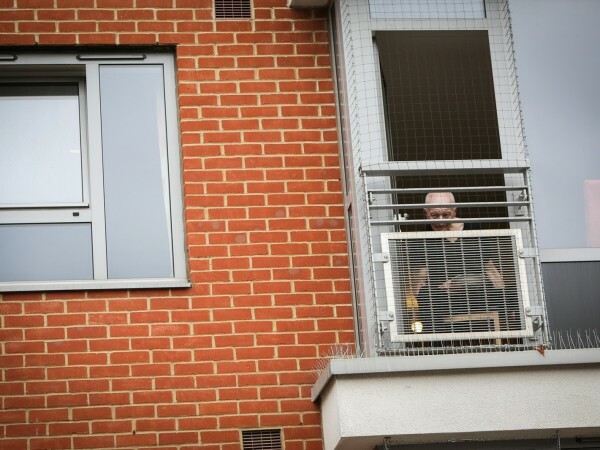 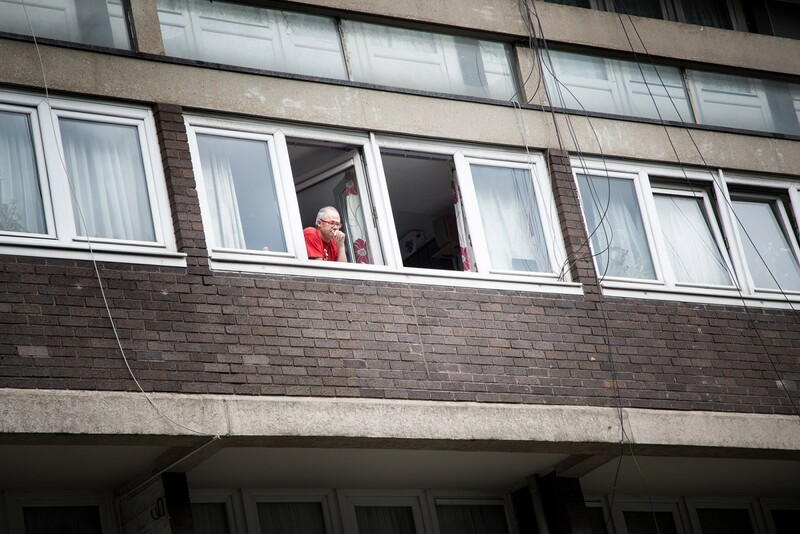 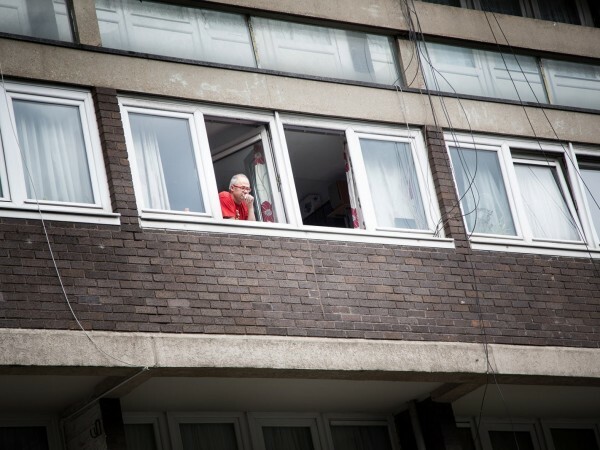 London, UK - 10/08/2015: A elderly man looks out of his window in West London. 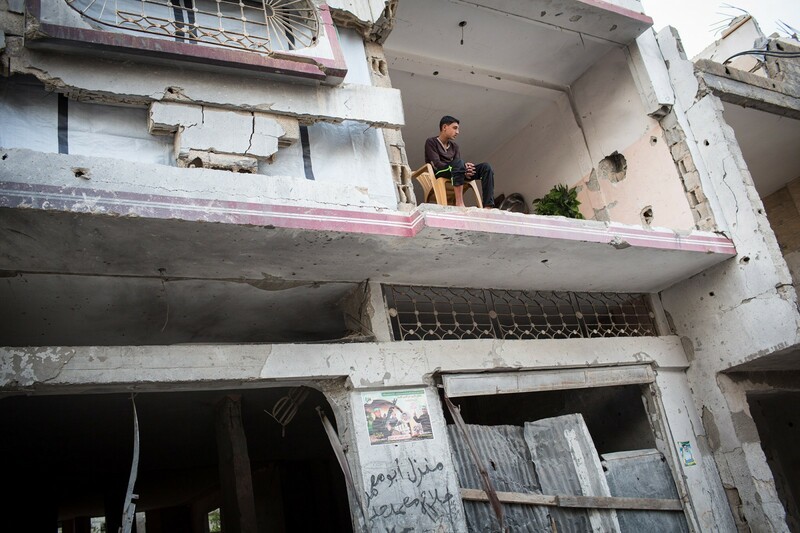 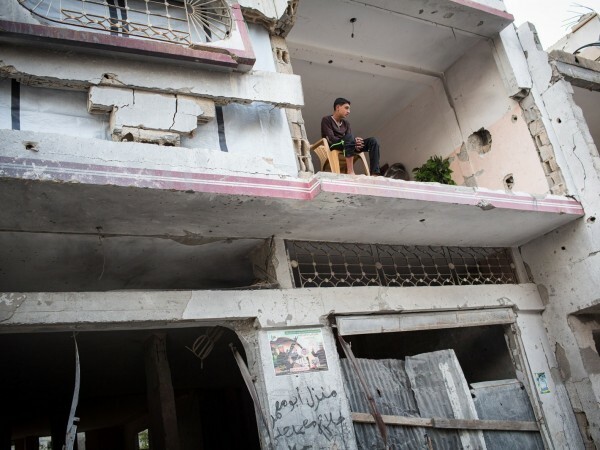 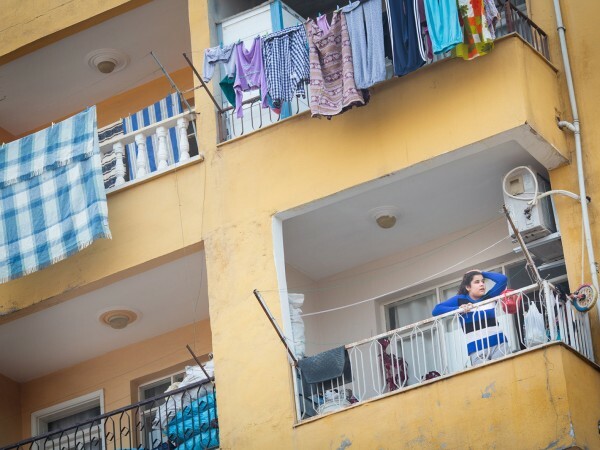 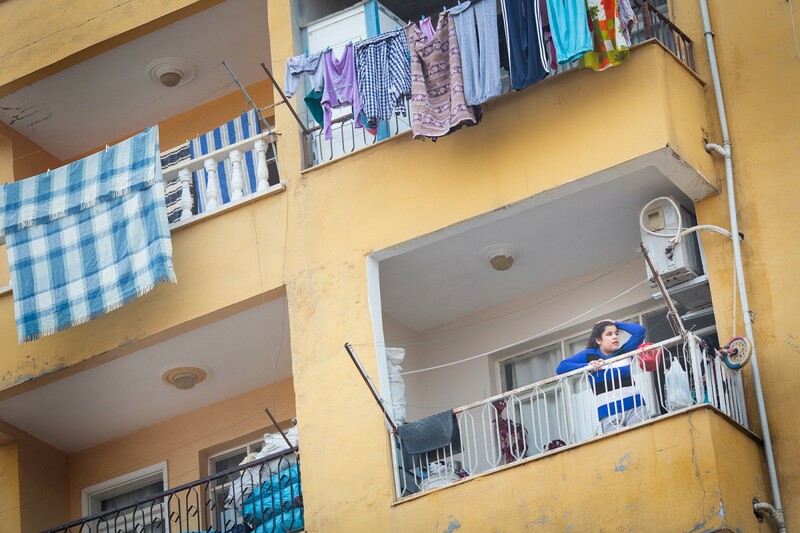 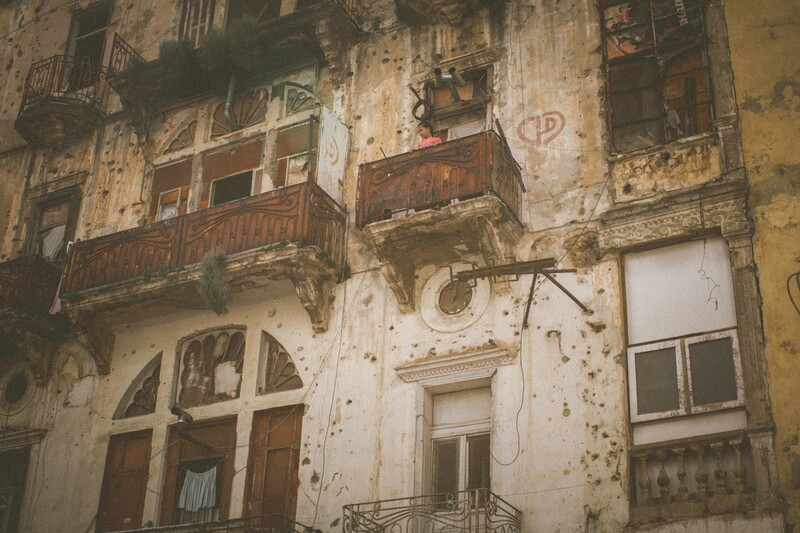 Reyhanli, Turkey - 01/06/2015: A young woman on the balcony of her flat. 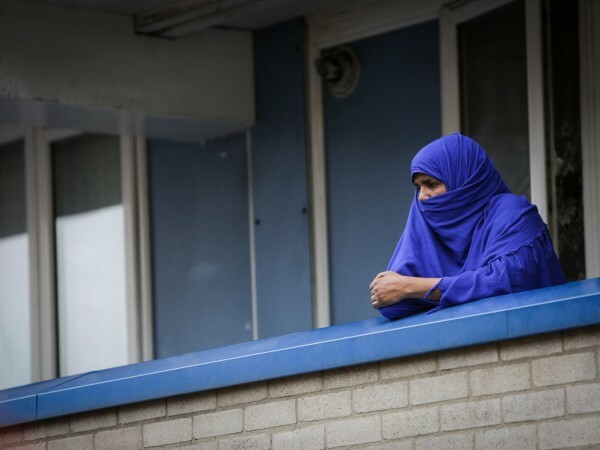 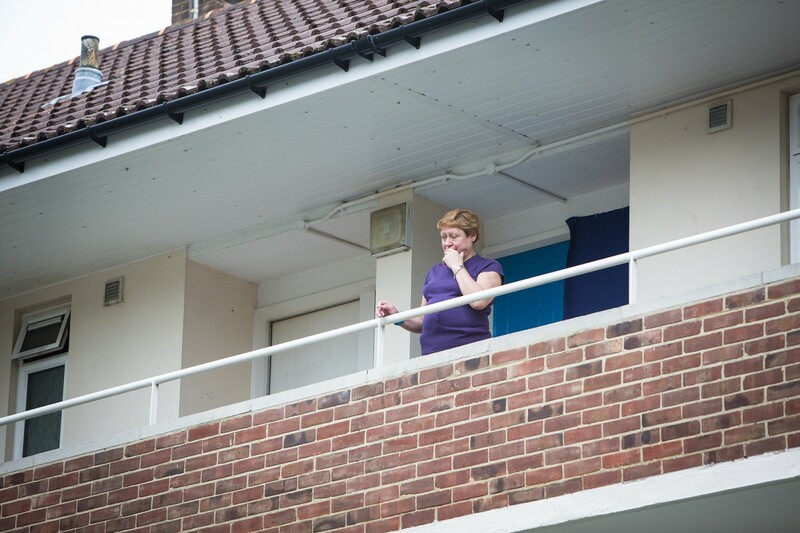 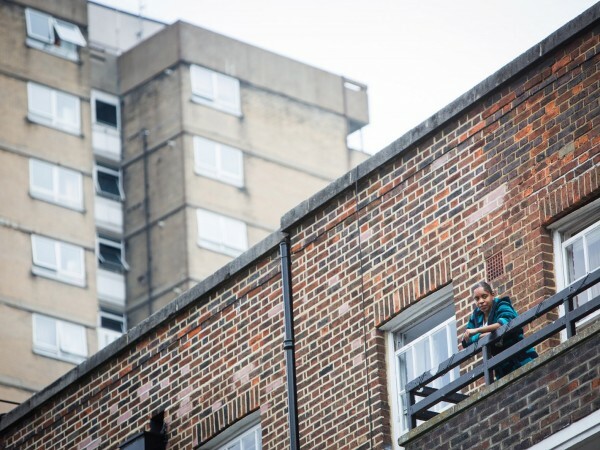 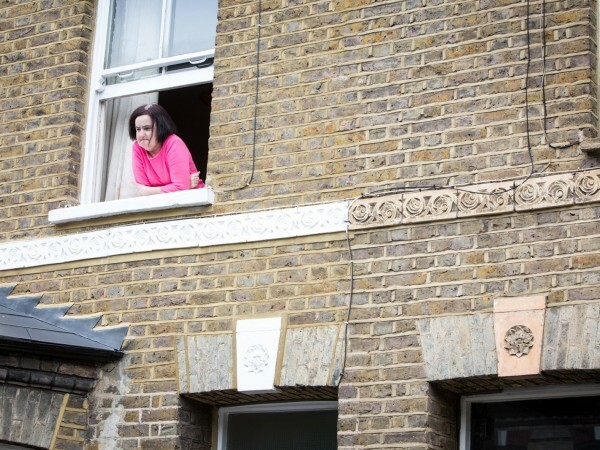 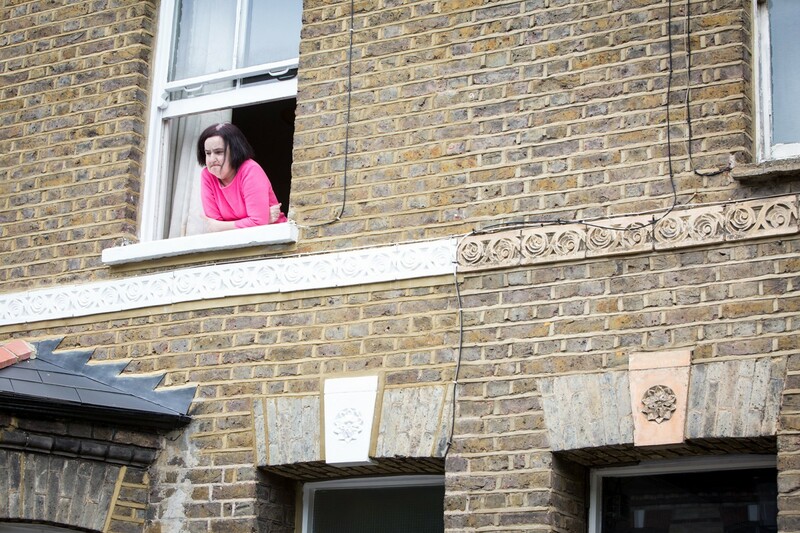 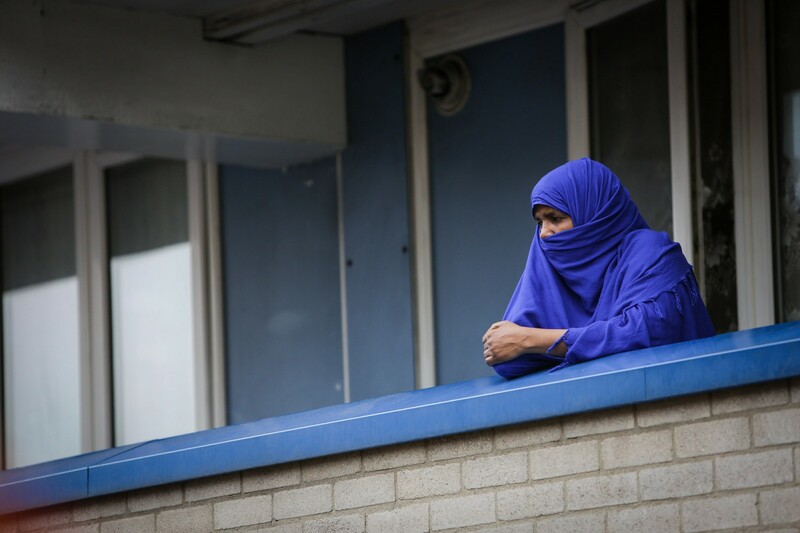 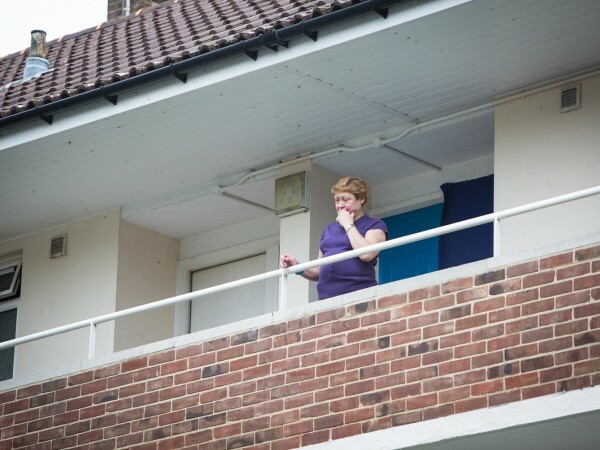 London, UK - 10/08/2015: A woman on her balcony in West London. 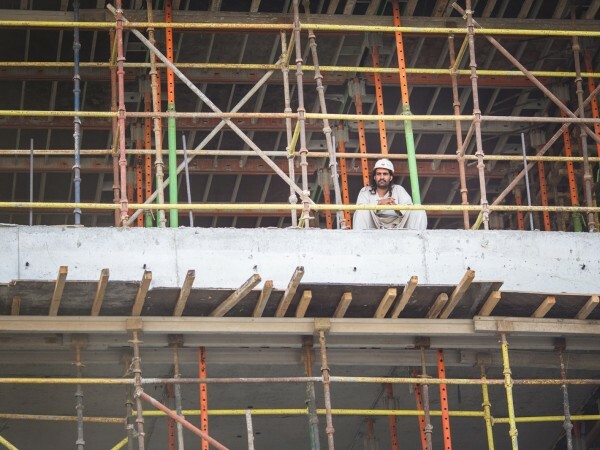 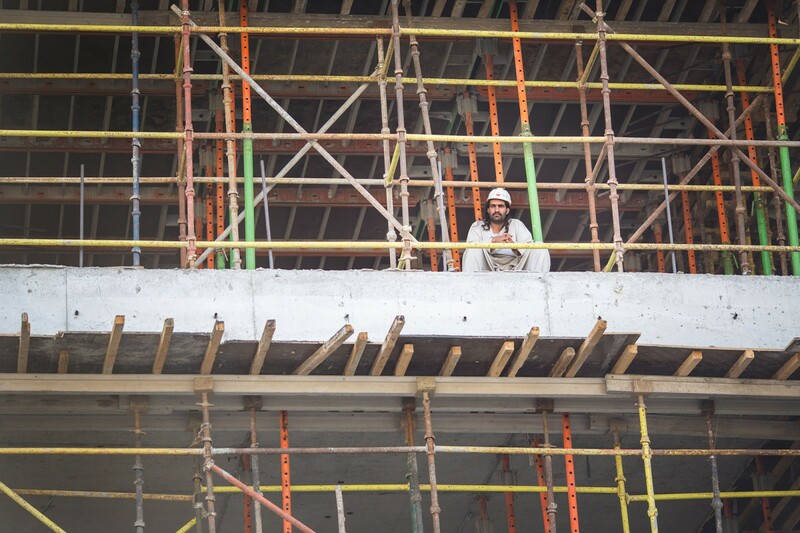 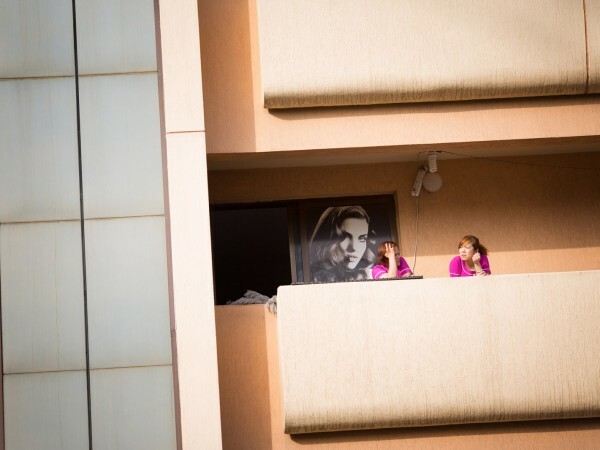 Dubai, UAE - 31/03/2015: Filipino workers take a break on their balcony on the 2nd December street. 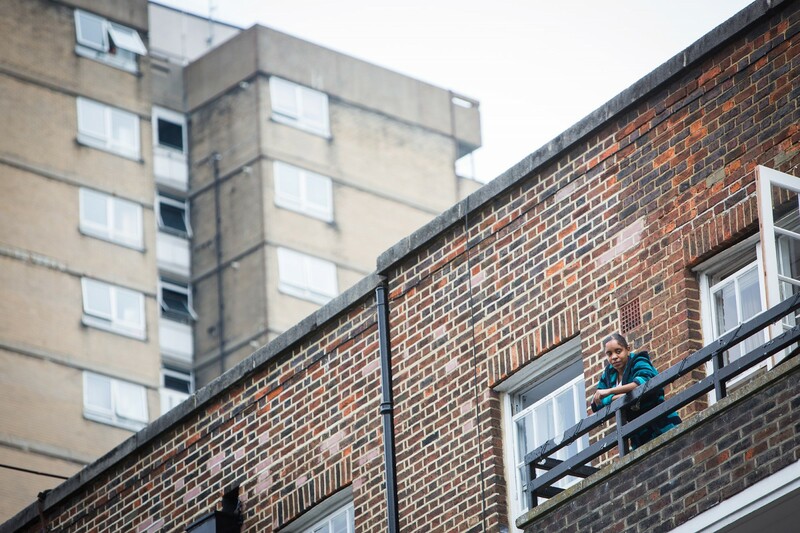 London, UK - 10/08/2015: A woman on her balcony in London. 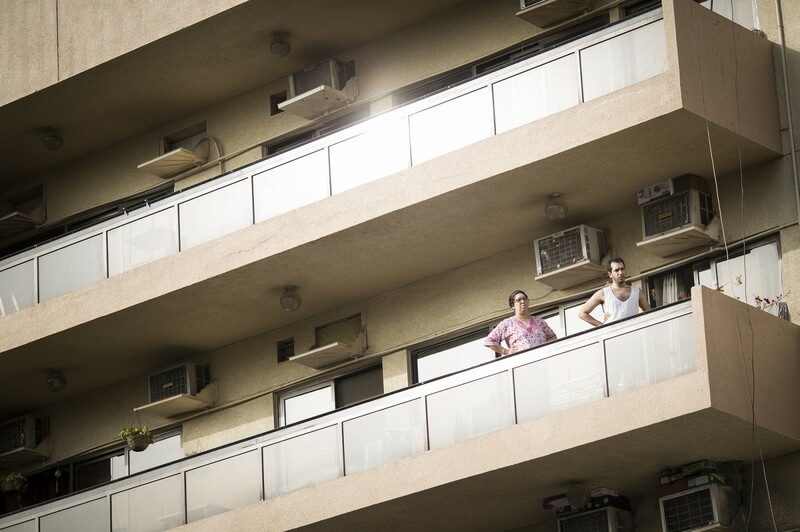 Dubai, UAE - 08/09/2016: A couple on their balcony. 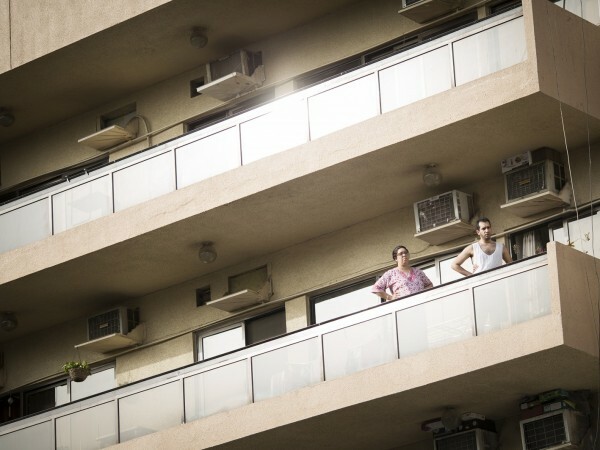 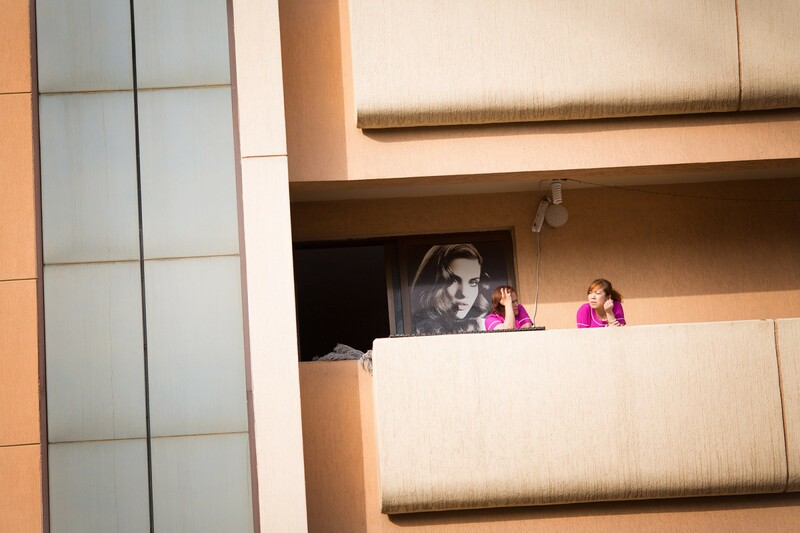 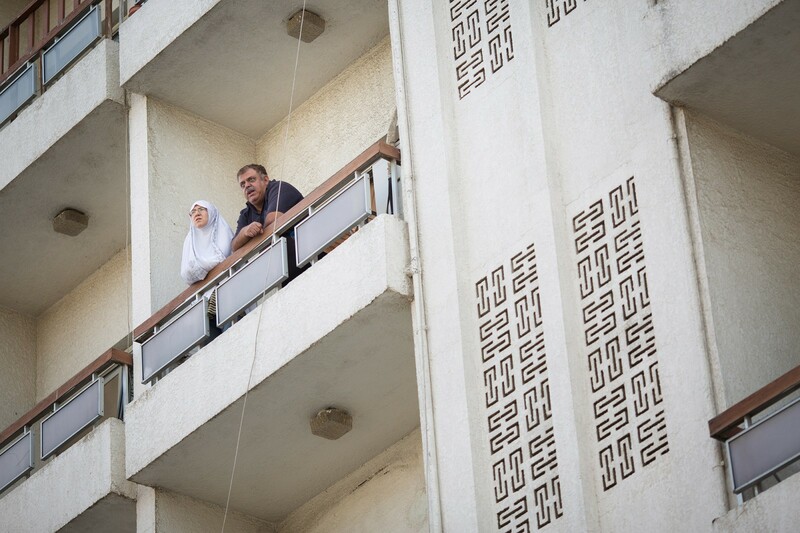 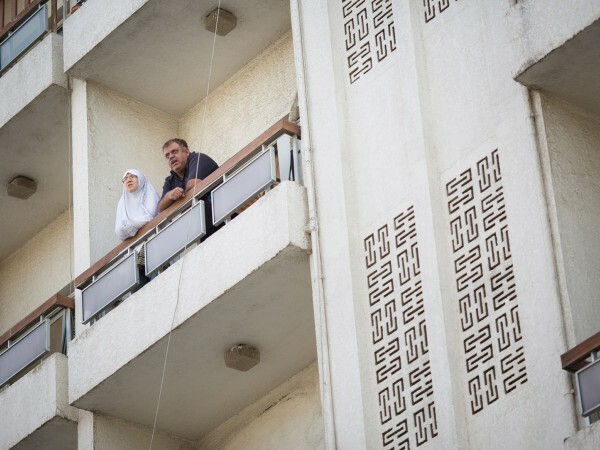 Dubai, UAE - 31/03/2015: An expatriate couple on their balcony on the 2nd December Street.